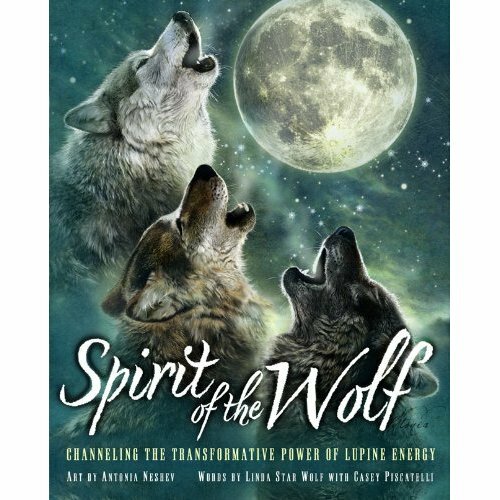 Merging the world of the wolf with Shamanism, authors (and mother/son team) Linda Star Wolf and Casey Piscitelli join with artist Antonia Neshev to introduce the power of lupine energy. The artwork alone is amazing. And this book would make an excellent gift for anyone with an affinity for wolves. Neshev earned international acclaim when the artwork on the cover of this book appeared on a t-shirt. The teachings and inspirations in the book will appeal to those who believe in the spirituality of nature and its ability to help humans move forward peacefully in their own lives. There are several of Samuel Briedenbach’s teachings sprinkled throughout the book as well. He is a scientific Shaman who believes in a spiritual DNA connection with nature and animals. What is now proved, was once only imagin’d. The authors and artist share their own knowledge and experience to help everyone connect with their inner wolf. This book won’t be for everyone, but for those who believe (or want to believe) in the power of lupine, it will be especially poignant. The book is on sale at Amazon for $13.46 and you can buy it here.